Parliament today approved the supplementary estimate of Rs. 592 million for Field Marshal Sarath Fonseka‘s Ministry of Regional Development. 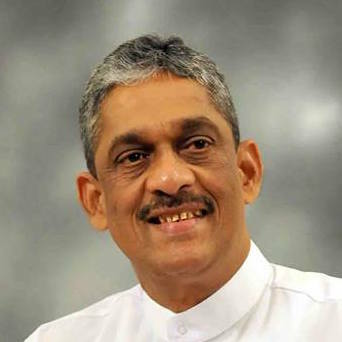 In August, Regional Development Minister Field Marshal Sarath Fonseka sought approval from Parliament for Rs. 592 million to cover the expenses of his ministry. Fonseka sought approval of Rs. 469,425,000 for recurrent expenditure and Rs. 123,500,000 for capital expenditure for his ministry. The Parliament approval comes in the wake of the Government planning to slap the public with an additional 4% tax increase citing they are unable to make ends meet because of the billions of rupees worth loans taken by former President Mahinda Rajapaksa. I think Mahinda chintana Journalists Publish these reports. Just think about other MPs. they all are in the same boat. Sarath Fonseka showed all his colours when he ordered the most expensive car for him because he was not only a politician but also a field Marshal and was better qualified most of the polticians in the parliement. Yahapalana govt is also the same as Mahinda Rajapakse govt. Only thing different is Ranil wickramsinghe doe snot have an extended family and children who like to play with the Treasury. Ranil wickramsinghe’s goals are travelling and keeping the others happy letting them play the way they want because Ranil wants to hang in there for the longest duration at the expense of the country. Journalists support them because that is media freedom in Sri lanka. Ranil does not have an extended family but he has an extended friends circle. He does not steal (he has money and nobody to pass on) but lets other steal around him. Did the same in 2002 if anyone remembers. This man is not elected by the people, all the posts he is holding are illegal. It is fraud that the massive amount is wasted in drain. Without wasting that money on this man’s ministry Gov. should directly spend it for poor people’s sheltors and their food requirement. What is the purpose of his ministry? Cant the Provincial Counsils handle the regional development? All Sri Lankans should refuse to pay taxes until the parliament of corrupt clowns gives up tax free SUVs and cars and the cabinet of corrupt clowns is reduced to 20. IMF should be asked to track down and collect funds of Jarapassa family and cronies stashed in off shore bank accounts rather than forcing VAT on the people in collaboration with the corrupt and criminal politicians. After all IMF is supposed to be a global financial governance institution which should be FIGHTING FINANCIAL CORRUPTION. if IMF had done its job in the first place countries like Greece and Sri lanka that are highly indebted would not have become so in the first instance. Munza Mushtaq …….sensationalist! The funds are for the Regional Development Ministry, and not for him to take home. If he does take it home, you have the right to question him; otherwise just ask how he is planning to allocate the funds. SF is straight talker, a brilliant manager and commander, managed a war to a successful delivery of objectives, lead something like 200,000 strong Army. I am sure he will manage his funds wisely and be accountable unlike some of the riff-raff ministers in this government and the previous. However is appointment is illegal. He lost the election. He has crept through the back door at the tax payers expence. Never mind about the straight talk, he should not have accepted this post if he was honest. He is not the people’s representative. How about 2005 presidential elections, paying a terrorist to rig elections, dealing with terrorists, money laundering, ….. ? Thanks God that election was rigged as you say. How many lives were saved because of that election victory. Biggest blunder by Prabhakaran after killing Rajiv. I don’t think anyone can buy Prabhakaran so I don’t think he got money from Rajapakses but he thought MR is the weakest between MR and Ranil. Boy he paid dearly for that mistake. BTW I think Gotha was the one behind MR who gave leadership to the war pushing MR all the way till the end. Could you also tell us how many innocent people lost their life, severely injured, how many children were being rendered orphans, how much commission the agents, politicians, officers of the armed forces, state functionaries, mudalalis, made out of the brutal war? On the other hand Vedda how many innocent people would have lost their lives if the war continued? how many children would have been used as cannon fodder? It will be much more than every one who died in the war including the soldiers! How many life would have been saved, if the stupid politicians were stopped from stoking racial hatred since early 1950s? How many life would have been saved if Banda, Siri Mao, JR, MR, GR …. were a bit wiser? How this country would have progressed if the stupid people were bit more wiser and voted for secular candidates. When people vote for such candidates as Wimal, Ganapathipilla, MR, Basil, Dinesh, Duminda, ……….. one cannot blame the politicians but the stupid masses who supported the most competitive racists. We do not have to have this exchanges of abuses if you were bit wiser and remember the sequence of events that had destroyed this island. It unfortunate that you always blame the Sinhalese politicians! It all started with a separate state demanded by Tamil politicians way before Banda brought in Sinhala only policy! I agree some of them may be to blame but latterly there was no choice for negotiations and settlement! When did Sri Lanka seriously consider settling the problems? Even the reversal Sinhala-only language policy was aggressively enforced by the Hindians. From 1956 to 1988, for 32 years it didn’t occur to any of your honest politicians to make the necessary changes. Kachchi (ITAK) held in Trincomalee. This was before the Sinhala only policy. They passed a resolution claiming that Tamils were a distinct nation and that the north and east of Sri Lanka was their traditional homeland, that Tamils have a right to self-determination in respect of the north and east. This was the start of the problem! Being elected is not an issue when it comes to finding effective administrators who could contribute for the national development. Was GL ever elected and holding a powerful position throughout the negotiations with VP? Half the elected members of last and this regime were/are uneducated riff riff, have no administrative and management training or experience at all. Look at that elected guy, uneducated murderer that was put as a supervising minister to the MoD. A wharf clerk running MR regime for 10-years, elected but corrupt to the hilt. You need more examples? GL is though a prof but a political teenager as Udaya. Both have no political feeling to do anything to this nation. What do you think of the getting elected of MR in 2005 ? Was that legal ? Ltters were bribed offering them 200 Millions of tax payers funds. Sripathi was murdered and one anotheris still living who is now revealling the truth as it is. I really wonder why the people still believe MR is a magic man even if he looted you guys as no other south asian leader did. His real face is no yet known to anyone in the country. I do not see the issue if these funds are utilized for the purposes of actual regional development. However, I would have a problem if these funds are used for unwanted luxuries for the top brass. So, the socalled good governance is trying its best to be par with the former corrupted regime or does it attempt to be worst than that? No doubt he will use every ct for the benefit of the people. That will then be exemplary. Way to go SF. Show the world that yahapalanaya is just MR without the murders. Did MR kill anyone? He liberated the island without a shot being fired. I can’t believe you are so ungrateful to the liberator of this thrice blessed land. Be nice to him. He will defend Sinhala/Buddhism at any cost. Native, you have become MR’s ball carrier. Sarcasm is lost on me as facetiousness was lost on you. ha ha, ha ha, ha ha, ho ho, ho ho, ho, he he, he he, he he, hee hee,hee hee,hee hee, hee hee, heh heh, ……. I just remembered an old joke, I couldn’t stop laughing. That is what he said in Parliament when a naughty opposition MP tried to have a did at the Desha Premi Field Marshall. I am not sure whether Batalanada Ranil has instructed his F*****CID’s Cold Case desk to look at it. Wonder how much would be the balance ,sorry unused funds , when his Yahapalana gig ends in maturity. What ever it is, our Mahavamasa FM wouldn’t have to buy Funeral Insurance unlike our average Silvas who need to have a decent burial. without burdening their loved ones. .
KA Sumanaya, did you have checked your head recently ? You seem to have no argument except Batalanda… ? If that is the case, MR should not come out of his 4 walls for all the high and low crimes he deliberately mastered over the last 10 years. But the bugger is shameless evil in our times. He can go on prevaricating, no matter any harm could be affected ot the very nation. Today he has become an actor – nobody question him for the war winning respect, but if he would have been questioned by going through one by one allegations levelled at him, he would have to cut his throat tomorrow iteself. However what has Mahinda got to do with the Mahavansa Field Marshall spending another LKR 500 Million , on top of the LKR 70 Million for his SUV, all paid by the Yahapalana Suckers’ PAYE Tax. !!!!!! Would not a Miss prefer a Wambotu rather than a Thalana Batu? One is a sphere,the other is a cylinder! hey did you hear the latest.. Yahapalana TV is going to show Blue Movies Sorry, R rated ones after dark in Colombo. Wambottu prices may pick up,, to make Moju of course, to eat with Hoppers at Supper after the movies. is he developing the south asian region? 6 November 2015 – Wijedasa Rajapaksa sued Sarath Fonseka demanded he pay 500 Million for making defamatory remarks against him. WOW ! Is it just me, or is there a connection. There should be a separate international organization to audit these ministries.